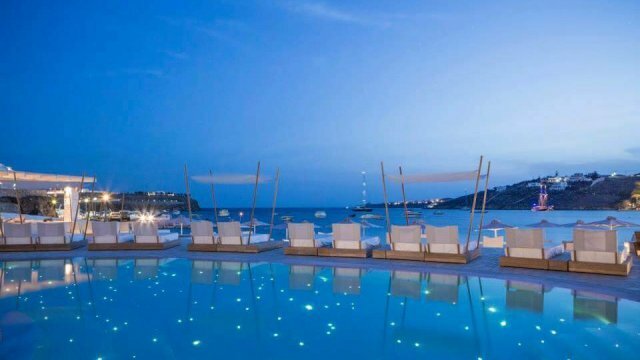 Somewhere between Paradise beach and Paraga beach in Mykonos, there is one hotel nestled in a rock and wave scenic called San Giorgio Hotel. This newly built home away from home seems more like a cottage beach house of a good friend rather than a typical hotel on an island. Anywhere around there are amazing wooden creations to see and a large pool in the middle of all to invite the guests to relax by its sunbeds and cooling their bodies in the turquoise waters. An absolutely calm and peaceful environment will welcome you as you enter this place and you will feel the warmth and the coziness instantly looking at the shabby-rustic made hammocks on the palm trees by the pool. 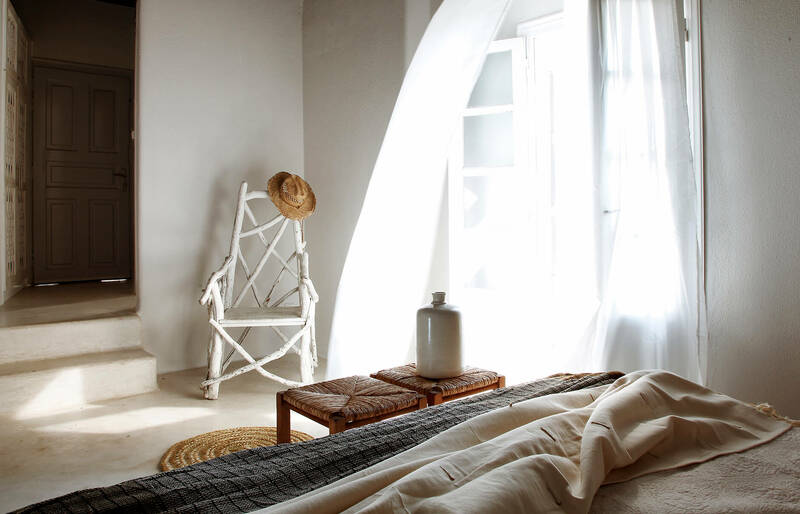 San Giorgio Hotel features modern rooms and suites fully equipped and simply designed with bright white color everywhere and fine lines. You can enjoy the silence in the privacy of your own room and keep out all the negative thoughts and stressful situations. In the place, there is as well the restaurant Scorpios famous for its originality and fine tastes, the fresh seafood and fish and the friendly and extra helpful staff. 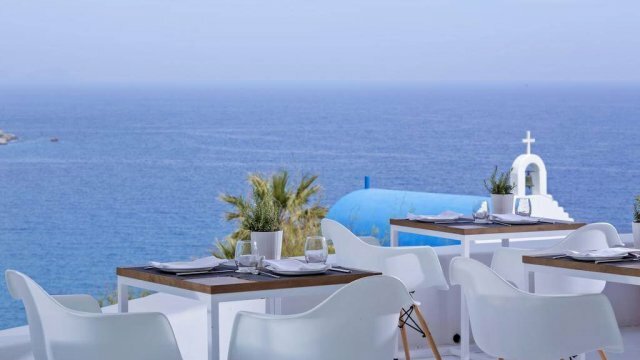 With huge asset, the marvelous sea view, it stands with dignity for many summers serving and hosting people from all around the world and organizing some of the best parties and special events on the island. 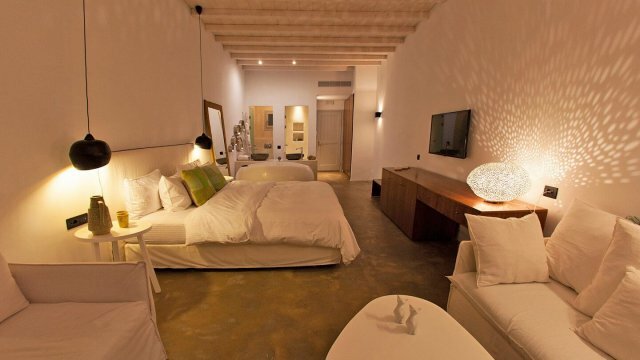 A hotel that has reinvented the word hospitality will give you the opportunity to feel calm and just yourself letting you lay back and spend with your own personal way the best vacation ever. The beach is at a short distance and if you are looking for even more privacy and quietness there are also some smaller beaches rocky but with crystal clear waters hidden away of the unwanted crowd. 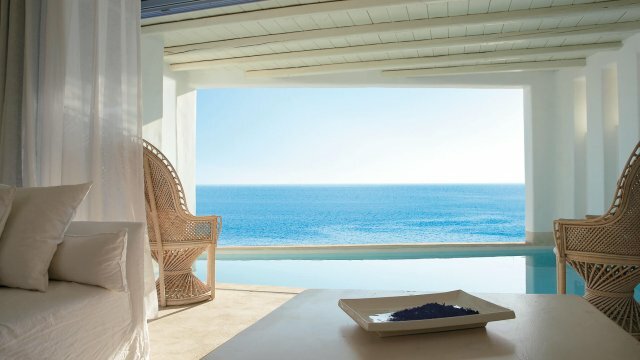 Pietra e Mare 4-star Hotel is located in the cosmopolitan beach of Kalo Livadi just 12 km away from Mykonos Chora. 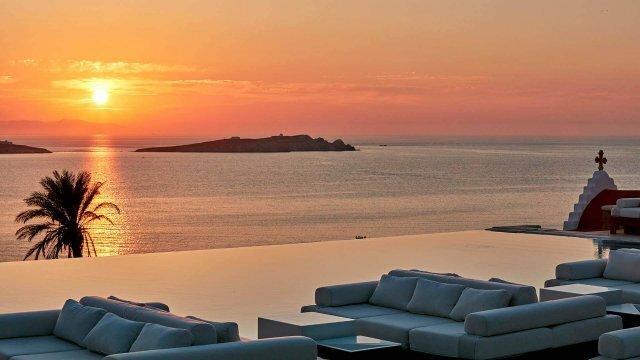 The place is idyllic and helplessly romantic! Dazzling white and ethereal blue notes all over, minimal decoration and luxurious amenities and probably the most unconventional pool that you have ever been at.